Winner Poker employ the strictest anti-hacking security standards so you can deposit and withdraw your money with absolute confidence. Playing at Winner Poker is an excellent experience because it is powered by Playtech online poker software. Winner Poker is immensely popular among online poker players for its player friendliness, excellent customer care service, and focus on customer satisfaction. The online poker room encourages its customers to call or email support.poker@winner.com whenever they wish to share their feedback, ideas, or experiences. Remember to use your Winner Poker Bonus Code to get your 1st bonusSince Winner Poker is powered by Playtech, it forms part of the prestigious iPoker Network and is licensed and regulated in Antigua and Barbuda. Winner Poker welcomes new poker players with an exciting hamper of bonuses and freerolls. One of the highlights of Winner Poker is its first deposit bonus of 250 percent up to $2000, which is incredibly easy to clear. Players only have to collect Winner Poker Points by playing real money poker and their bonus will be moved to their real money accounts as and when they collect the required points. 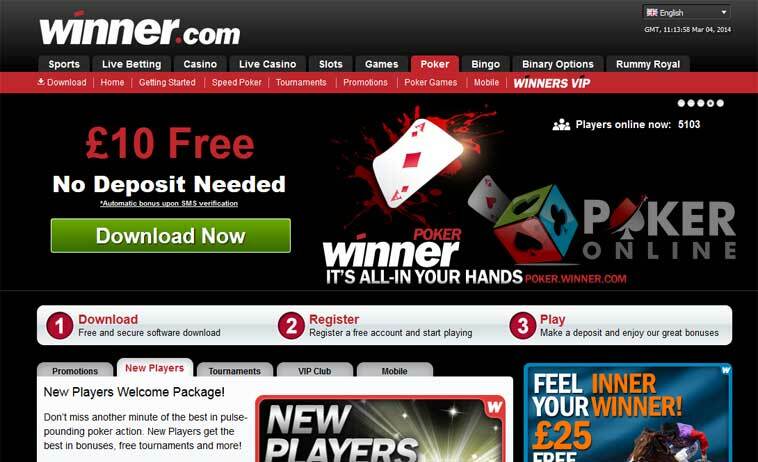 Winner Poker rewards its online poker customers for referring their friends. The friend, who signs up, makes a deposit, and plays real money poker will also get rewarded. Players will receive a bonus of $100 for referring a friend to the online poker site, and if they refer more than 3 friends, they will receive an extra bonus of $50. The friends will also receive a gift of $10 as soon as they make a deposit of $25 in their accounts and earn 50 Winner poker Points. Winner Poker offers popular variants of poker such as Texas Hold’em, Omaha Hi Poker, Omaha Hi-Lo Poker, 5 Card Stud, and 7 Card Stud. Beginners need not worry about getting started at Winner Poker because the online poker room has an excellent poker school for beginners, where they can get all the rules and strategies of popular poker variants, poker hand ranks, house rules, poker features, and others. Players can choose from three major types of tournaments at Winner Poker—multi-table tournaments, single table tournaments, and satellite tournaments. One of the most lucrative tournaments at Winner Poker is the Sunday $200k Guaranteed. Players can either buy-in directly for this event, which is played at 18:00 GMT+1 on Sundays or qualify for the same by participating in satellite tournaments held throughout the week. The most exciting feature of Winner Poker is its freerolls. The online poker room offers two major types of freerolls—the $250 Weekly Depositors Freerolls, which are run every week at 20:00 GMT, and the $25 Welcome Freeroll, which is run everyday at 19:00 GMT for players who have registered during the past 90 days. Winner Poker is known for rewarding players in the most generous way possible. Whenever players take part in cash games and tournaments, they will receive points. The online poker room will then assign them a VIP level based on the number of points earned per month. The VIP program at Winner Poker comprises levels titled Amateur, Rookie, Intermediate, Semi Pro, Pro, MVP, Star, Superstar, and Hall of Fame, and each level is associated with different types of bonuses and benefits. Players can use their points to convert bonus money into real money. The online poker room soon hopes to enable its players to exchange their points for merchandise although it does not have this facility at present. Winner Poker offers a wide range of reliable banking methods such as credit/debit cards, prepaid cards, and alternative payment methods. Players can use Visa, MasterCard, Maestro, Diners Club International, Moneybookers, Neteller, Instadebit, Internet Banking, Bank Transfer, UseMyServices, PaySafeCard, iDEAL, Click2Pay, Ukash, WebMoney, Instadebit, POLi, ClickandBuy, ECOCard, and eWire to fund their accounts. The standard currency at Winner Poker is US Dollar although the online poker room accepts many other currencies such as Australian dollars, Euros, Pounds, and Canadian dollars. Poker players can also withdraw winnings in their own currencies, and Winner Poker does not charge extra exchange fees. Winner Poker has an excellent customer support service, which is available through fax, email, telephone, and live chat. If players want immediate assistance, they can use the live chat facility. If they email their queries to support.poker@winner.com, they will get a response at the earliest possible. Players who prefer slower methods can write to Winner Poker at their mailing address as indicated on the poker room website. The company is based in the Philippines. 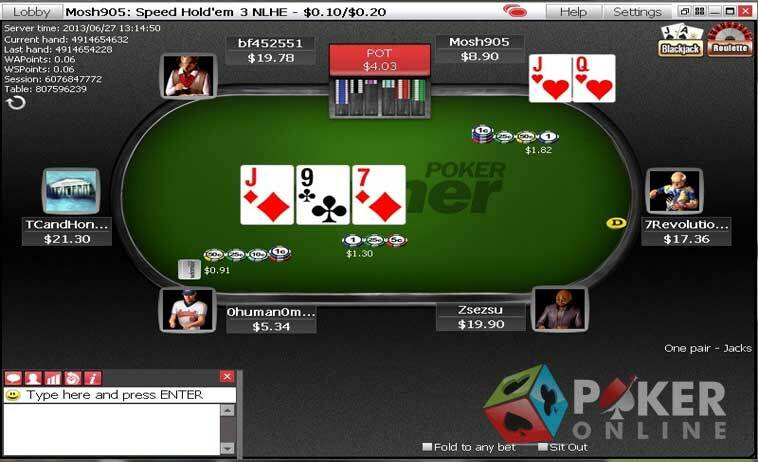 Alternatively, players can contact Winner Poker through fax and phone numbers, which are toll-free for players from UK and Canada.